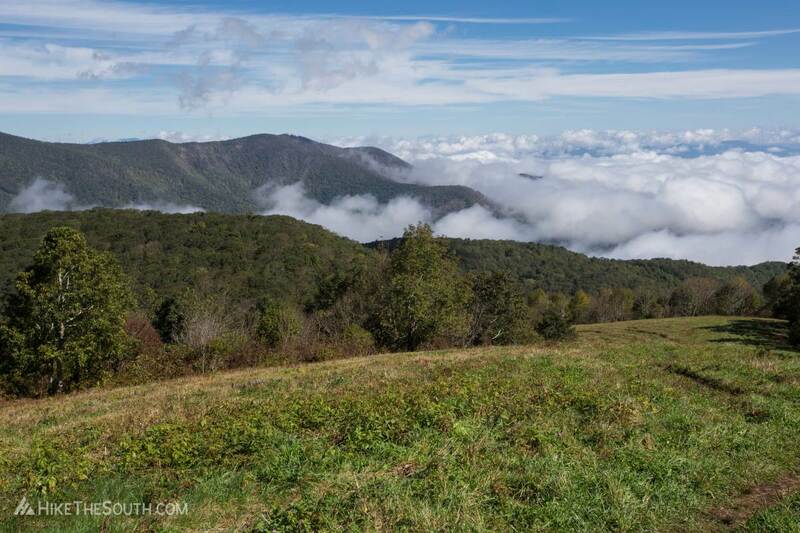 Hike to sunny 360° views from the summit of Siler Bald along the Appalachian Trail in the Nantahala National Forest. 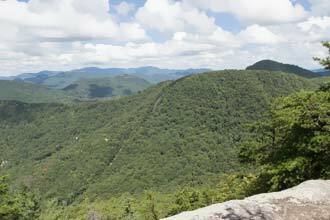 Begin with a waterfall and end with stunning views on this 8.7 mile section of the AT in North Carolina. 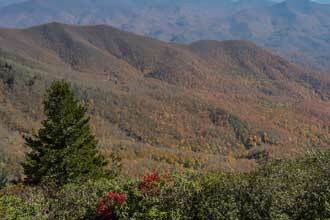 Parking at Winding Stair Gap is limited so try and get there early. 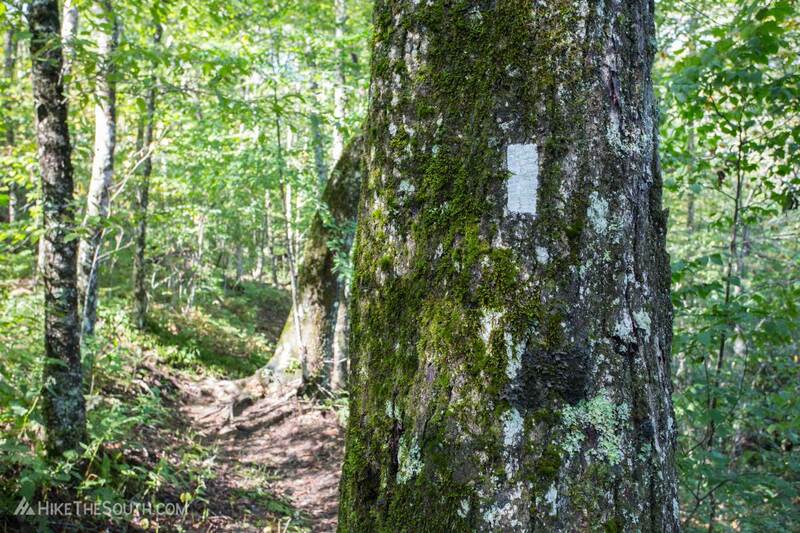 This hike heads northbound on the AT, so follow the white-blazed post to the left of the parking lot up the highway for about 300 feet before crossing the road and entering the woods next to a gated gravel road. 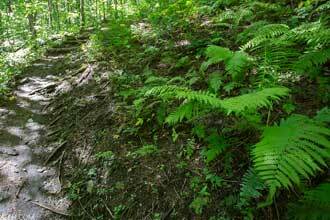 The trail quickly crosses the aforementioned gravel road then immediately crosses in front of a small waterfall over a short bridge. Hiking up along the creek you'll cross it and a couple other small creeks along the first half of this hike. 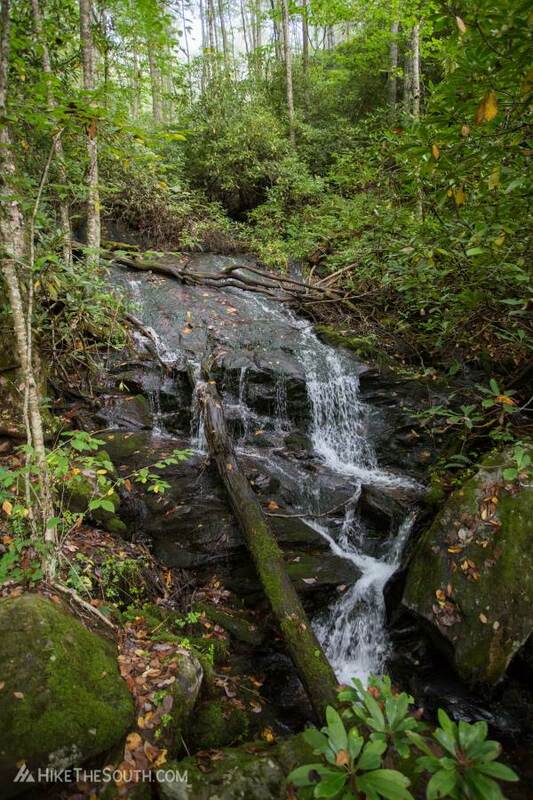 The first crossing is the only one you need to pay attention to your steps and be careful of slippery wet rocks. Pass a few campsites on the way up. 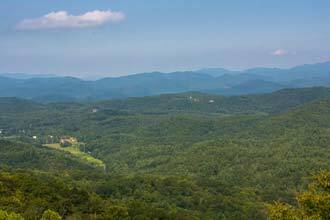 The one at Panther Gap offers a small view for your enjoyment. 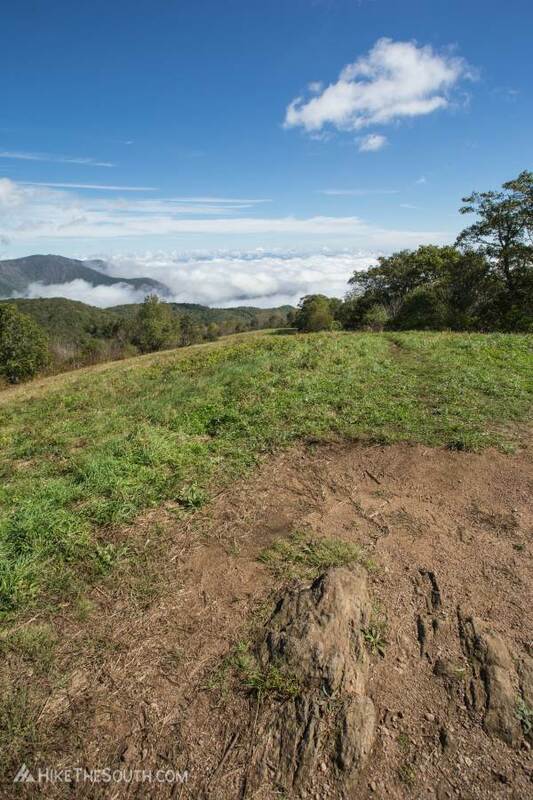 At 3.6 miles, stay left at the intersection with the blue-blazed Siler Bald Shelter trail. 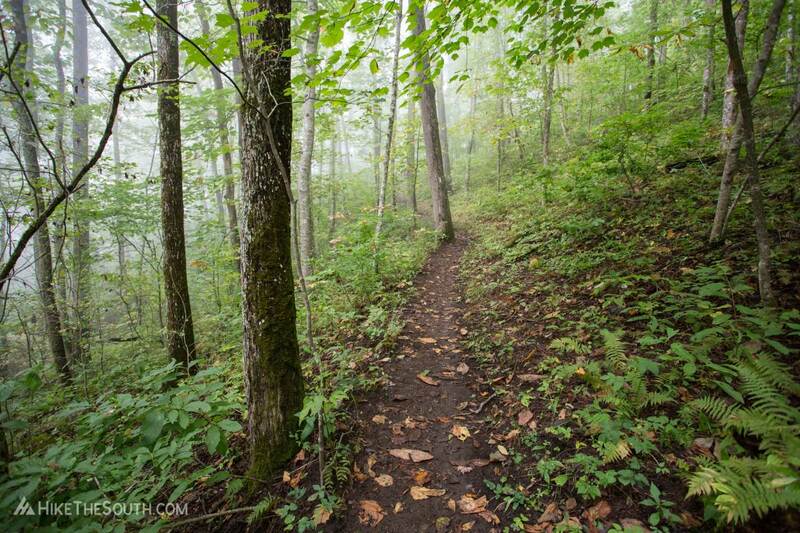 At just over 4 miles enter the grassy clearing of Snowbird Gap. 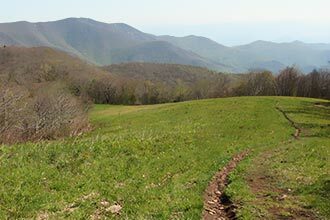 From here, leave the AT, turning left up the grassy hill toward the summit of Siler Bald. 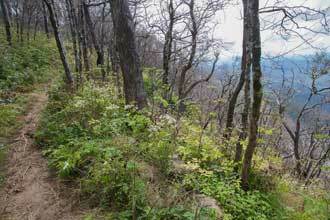 This is the steepest part of the hike. 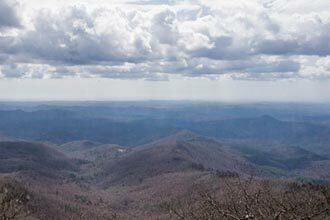 At 5,216 feet, Siler Bald offers nearly 360° views of the surrounding mountains. Although completely exposed, on sunny days it's never too hot and you should get good breezes. A brick marker lists the elevation and directions. 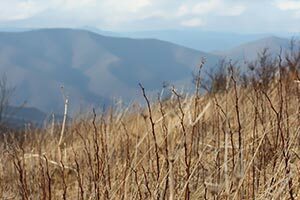 For a shorter hike, consider Siler Bald via Wayah Gap. 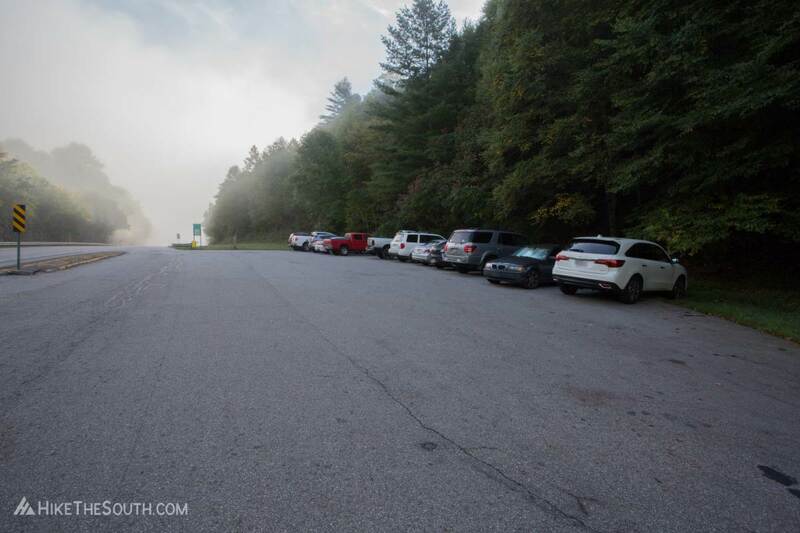 300 ft - Cross Highway From the parking lot, walk to the left along the highway, following the white-blazed posts. Cross the highway in just under 300 feet. 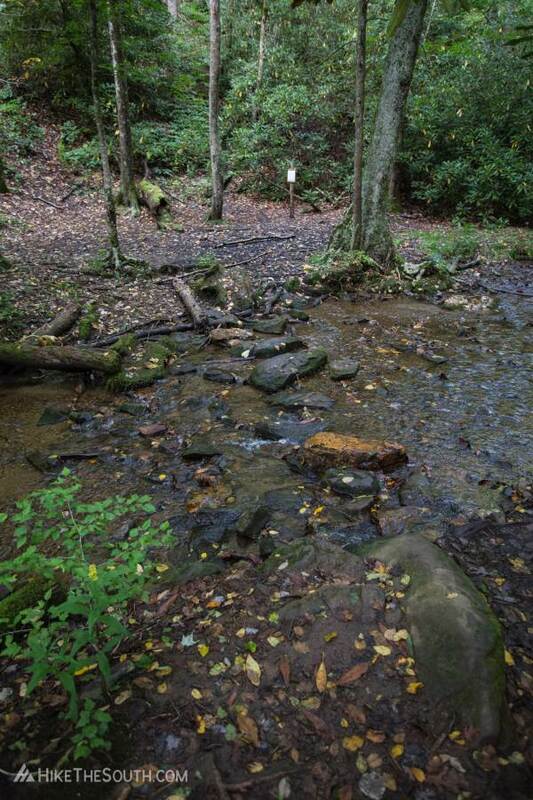 0.15 mi - Cross Gravel Road / Waterfall Cross a gravel road before passing in front of a small waterfall over a short bridge. 2.0 mi - Panther Gap View Campsite at Panther Gap on the right with a small view. 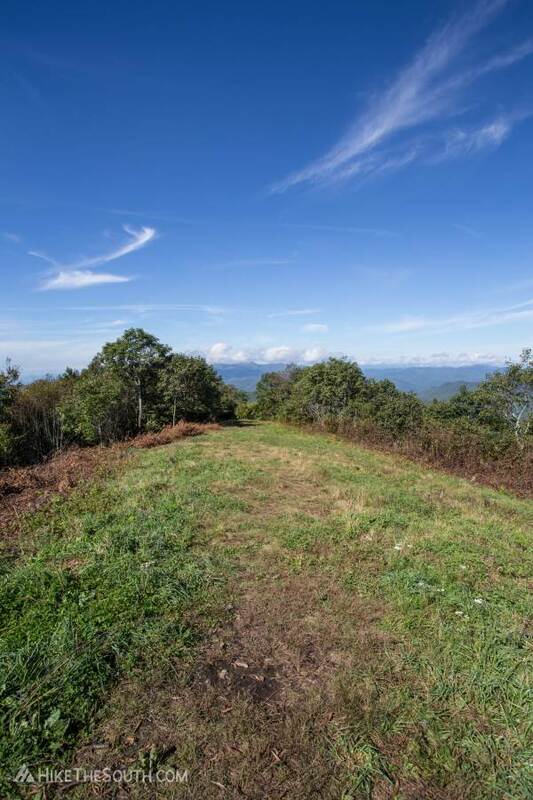 3.6 mi - Siler Bald Shelter Trail Stay left passing the blue-blazed Siler Bald Shelter Trail to the right. 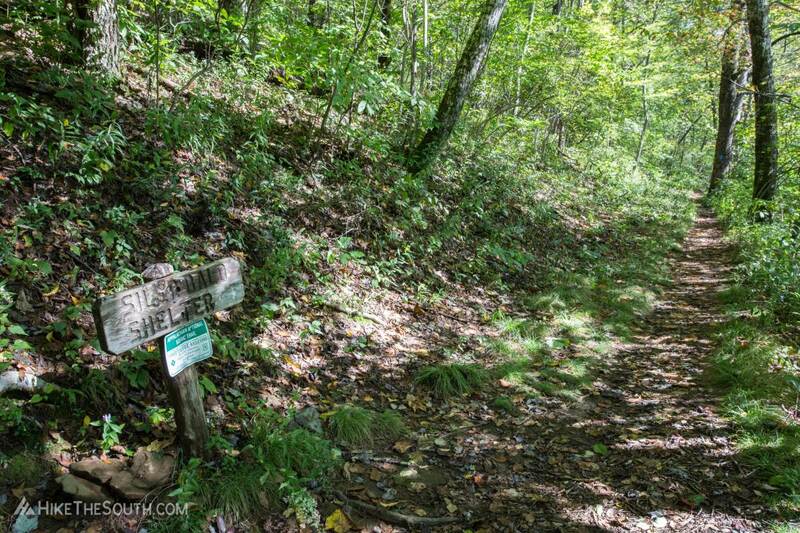 4.1 mi - Side Trail to Siler Bald Turn left off the AT, heading up the grassy hill. 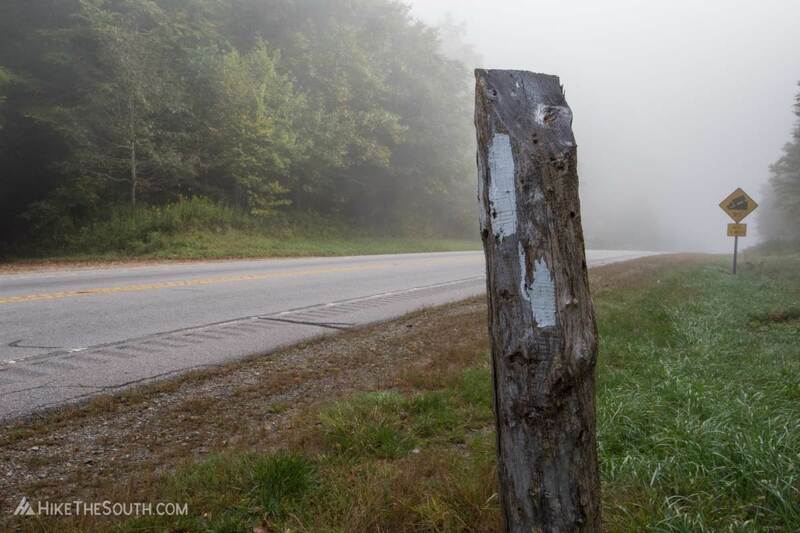 To begin this hike, follow the white-blazed posts down the highway for about 300 feet before crossing the road. 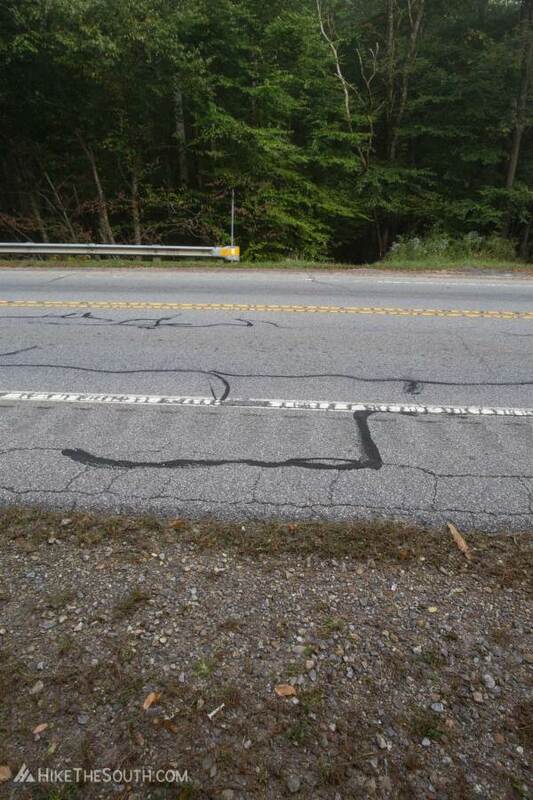 13 marked spots with room for 5 or so more along the road. Take caution when crossing the highway. Watch and listen for traffic before crossing. 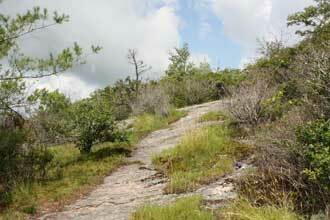 As with most of the AT, the trail is rocky and rooty for most of the hike. 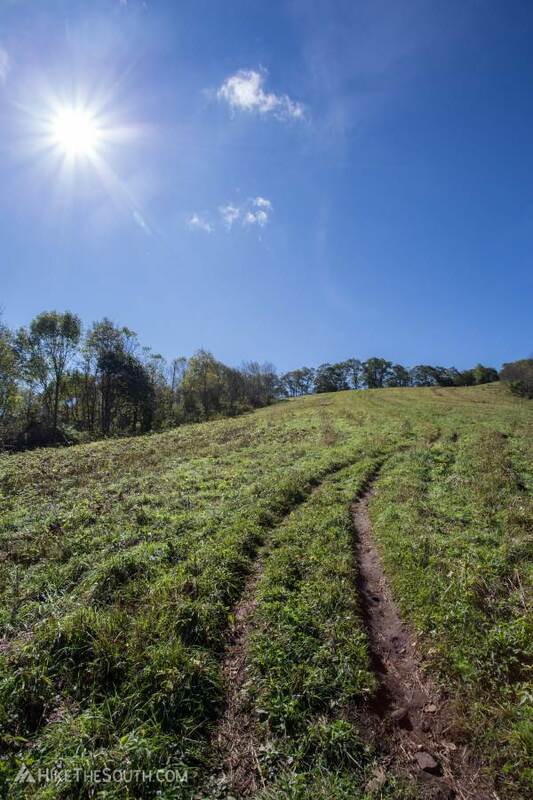 This is the longer way to Siler Bald, but it's not an overly difficult hike. 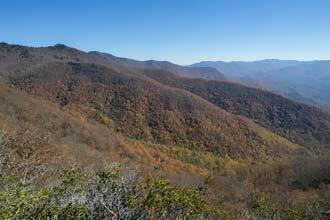 The amazing views at the top are worth every step, not that you need a reason to hike a section of the AT.